LONDON — The saga of the Aquarius rescue ship that was stranded at sea for 10 days after repeatedly being refused permission to dock illustrates the hardening of views on migration in Europe.Days after taking power, Italy's new populist government last month marked out its red lines to the European Union by closing its ports to the vessel, which was carrying 630 migrants who had been picked up off Libya's coast.Malta followed suit, arguing that it had nothing to do with the rescue mission and had no legal obligation to take the migrants. The Aquarius was eventually welcomed by Spain. Italian Interior Minister Matteo Salvini said the country was saying "no to the business of clandestine immigration. "Authorities in Rome have since barred several other similar rescue ships carrying migrants from disembarking on Italian soil.The policy change raises questions about how rescue ships manned by volunteers who have traditionally been at the forefront of saving lives will be able to continue their work. Around 27,000 migrants have died while trying to reach Europe by crossing the Mediterranean Sea since 1993. 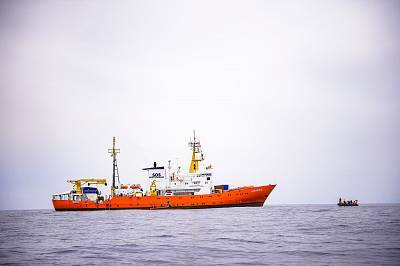 Salvini has regularly accused rescue vessels of complicity with smugglers — who often pack migrants into overcrowded and rickety boats. He also once declared that crews of humanitarian rescue ships "should be arrested" and their vessels "sunk. 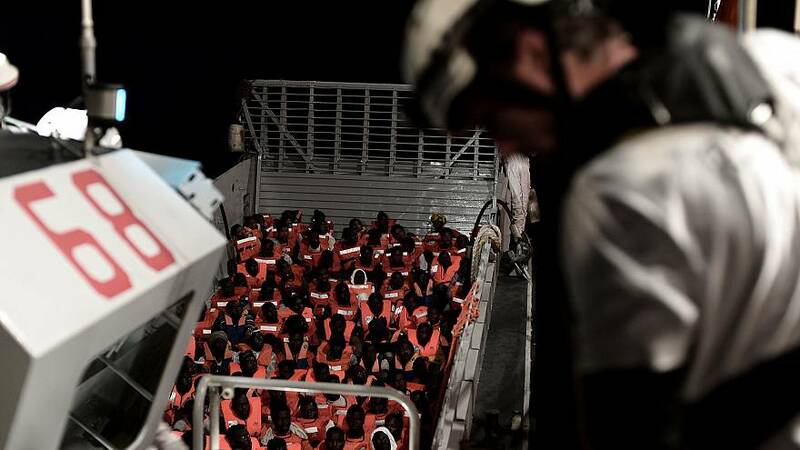 ""The Aquarius made visible something that has been happening for a few months, which is the attempt to criminalize the role of NGOs in search and rescue operations," said Nando Sigona, a researcher in migration at the University of Birmingham, using a British acronym for non-governmental organizations.Last month was the deadliest in the past four years in the central Mediterranean route between North Africa and Italy, with some 563 people dead or missing, according to the International Organization for Migration (IOM). There have been more than 250 additional fatalities on this route this month.But last week, a Spanish aid group accused Libya's coast guardof abandoning a woman and toddler to their deaths after they intercepted a boat carrying 160 people 90 nautical miles off the Libyan coast.Alina Krobok deputy spokesperson for Sea-Watch, a non-profit group which conducts search-and-rescue operations from Malta, said it was becoming increasingly difficult for humanitarian organizations to save migrants from drowning in the Mediterranean Sea. "They're trying to stop rescue boats from doing their jobs," said Krobok. "There is a definite relationship between us not being out there and people dying. "Italy has taken hundreds of thousands of migrants in recent years as one of the southern European countries on the front line of Europe's migration crisis. However, fewer people are arriving. The number of detected illegal border crossings into the E.U. has fallen by 95 percent from its peak in October 2015, according to the European Council.While Italy's new coalition government had vowed to take a hard-line approach to migration, Salvini's decision to refuse the Aquarius access to his country's ports translated that rhetoric into action. "This is Salvini keeping election promises," said Craig Damian Smith, associate director of the Global Migration Lab at the University of Toronto.He added that the new Italian approach could bankrupt some humanitarian organizations because the vessels will now have to spend more time at sea because nearby Italian ports are no longer an option. "It costs something like $30,000 a day to run one of these vessels and these are NGOs which survive off donations," Smith said. Neighbors such as Poland, Austria and Hungary have also experienced a rise in populism and anti-immigration sentiment.At a meeting last month, E.U. 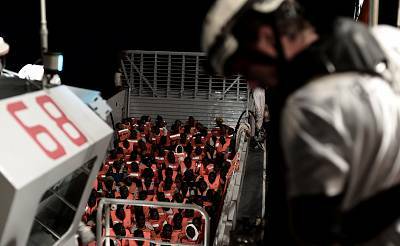 leaders agreed to toughen their approach to migration by increasing border protection and improving return and admissions procedures.The 28-country bloc also said they would explore the potential to use third countries to screen the eligibility of migrants' to enter the continent. Is Spain experiencing an immigration boom?